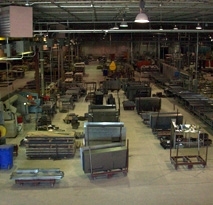 American Steel Products (ASP) has provided material for the construction industry since 1933. For the past 25 years, ASP has focused on supplying security products specifically designed for the detention industry. Today the company is leading the way in the detention hollow metal market by building a reputation as the premier detention hollow metal company in the industry. With a combination of quality, product selection, competitive pricing, and on-time delivery, American Steel is sure to be your choice when selecting a hollow metal supplier for your next detention project. ASP engineers and manufactures prison doors, door frames, windows, control stations, guard towers, and other security products for the construction and renovation of detention facilities. In addition to supplying detention hollow metal doors and frames, ASP has designed and manufactured sophisticated security products for U. S. Embassies and for Federal Reserve Bank facilities. 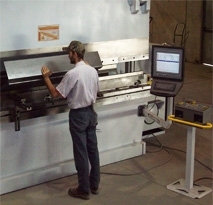 ASP is currently one of the largest manufacturers of detention hollow metal doors and frames in the United States. The company has built over 10,000 prisons spread across all 50 states, Puerto Rico, Canada and South Africa. These include federal penitentiaries, state correctional facilities, county jails, municipal justice complexes, Immigration and Naturalization detention facilities, as well as local jails and police lock-downs. ASP has supplied products to more federal penitentiaries than any other company in the nation. ASP has worked to build the largest and highest security level facilities in the country. 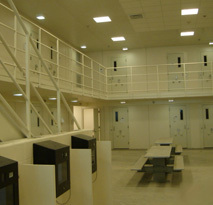 It has supplied product for the Federal Correction Complex in Florence, Colorado: a Level VI super-maximum security facility, recognized as the most secure prison in the nation. In addition, in 1998, ASP completed work for the Arizona State Prison Complex (5700 beds), in Buckeye, Arizona, one of the largest prison facilities in the country. American is among a very select group of companies able to meet the stringent requirements necessary to work on such large-scale projects. 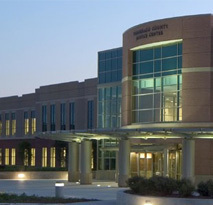 American Steel Products is a privately-owned company with its corporate offices and manufacturing facility located in Swainsboro, Georgia. The company operates an 80,000 square foot manufacturing facility, newly constructed in 1995, and employs an 80-person workforce. The company also maintains satellite offices in both the New York and Atlanta areas. In 1933, a small, family-owned manufacturing business called American Steel was started in Brooklyn, NY. In 1973, the business was moved to Farmingdale, Long Island, NY where it remained until 1995. In 1995, the company was relocated to Swainsboro, GA where the company today operates a modern, state of the art manufacturing facility. American Steel currently operates debt-free while having invested heavily in capital upgrades, ranging from new equipment to new corporate offices. Having developed a reputation for on-time delivery of quality prison equipment, American Steel is poised to consistently secure a sizeable share of the federal, state, and local detention and prison equipment market. Given national security concerns ranging from domestic crime, to illegal immigration, to international terrorism threats; the company’s potential for long-term growth and sustained success are bright. ASP’s continuing challenge and mission is to build the premier detention equipment manufacturing company in the nation; while creating a model company that honors commitments to customers, employees, community, and suppliers.